This project, conducted with the support of the Government of Australia, on lessons learned from the early history of a new Council mechanism – Commissions of Inquiry – was launched in February 2016. Since 2006, the UN Human Rights Council (‘the Council’) has established a growing number of commissions of inquiry (COIs) or fact-finding missions of a broadening geographic scope. So far there have been over 15 COIs covering crises from Syria and Libya to North Korea and the Gaza conflict. The emergence and early development of UN COIs, as a new international human rights mechanism, focused on investigation and the monitoring and recording of violations in the context of urgent human rights situations, raises a host of questions for policymakers and the international human rights community. A COI (sometimes called fact-finding missions or, more recently, ‘OHCHR investigations’ or ‘OHCHR fact-finding missions’) is a new type of UN human rights mechanism (Charter-based) that has emerged since the establishment of the Council in replacement of the Commission on Human Rights (in 2006). COIs are independent Council mechanisms (independent of Council/State influence, independent of the Office of the High Commissioner for Human Rights influence and, indeed, independent of all other extraneous influences). Since the time of the creation of the COI on the Democratic People’s Republic of Korea (DPRK), commissioners or mandate-holders have made a formal declaration, upon assuming office, promising to act with independence and integrity in the service of the United Nations. As noted by Hon. 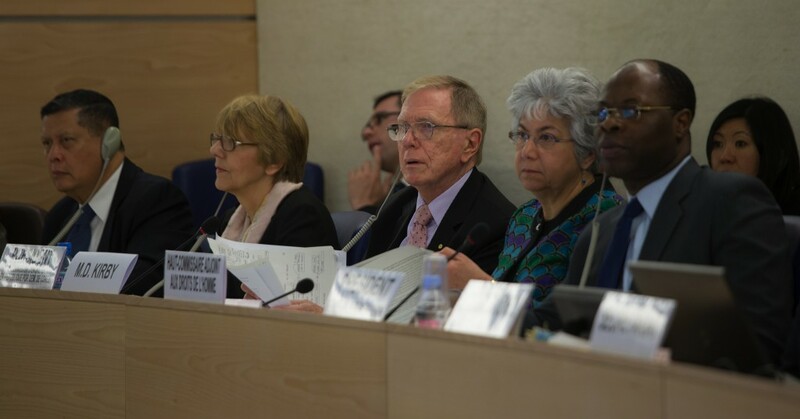 Michael Kirby AC CMG, the chair of the COI on DPRK, COIs and the commissioners therein do not “act as United Nations judges or prosecutors.” Their duty is to the mandate given to the COI by the Council. Essentially, commissioners “are engaged as expert fact finders, with a duty to report to the Council in accordance with [their founding] resolution.” In this sense, their role and mandate is somewhat similar to country-specific Special Rapporteurs (and certainly to the original intended role of Special Procedures in the 1960s and 1970s), though there are also important differences and distinctions. Remarkably, considering the importance of this new UN protection mechanism and the gap it has filled in the UN human rights protection system, there has been remarkably little analysis of what COIs are, why they are innovative and important, why they are different to country-specific Special Procedures, how they operate, the key challenges they face, whether they tend to meet their founding objectives, and how they might evolve in the future. This project, led by Marc Limon of the Universal Rights Group, and Ted Piccone of the Brookings Institution, in cooperation with Hon. Michael Kirby, will comprehensively analyse and seek to understand the nature and the impact of COIs as part of the contemporary international human rights system. Building on a similar analysis of the UN Special Procedures mechanism, undertaken by Brookings and the URG in 2014, the project will look at the emergence and early evolution of COIs, at the political dynamics that shape and determine the extent of their influence and impact, and at key institutional questions such as the nature of COI mandates, the modus operendi of their work, the extent of their medium and long-term impact on the human rights situations in the countries under scrutiny, and the adequacy of secretariat support and financial/technical resources. The study will also seek to illuminate how COIs can most effectively and constructively interact with other relevant human rights bodies and mechanisms (such as Special Procedures, the ICC, the Security Council, the General Assembly and national systems of accountability), including laying the groundwork for future mandates. Examining the strengths and weaknesses of the mechanism in conjunction with an assessment of resource allocation and recommendations that would better equip the UN to hold human rights violators accountable would provide a hitherto unavailable evidence-based resource for researchers, governments and practitioners alike. Ultimately, the project will provide evidence of the utility and impact of COIs, will provide States and other stakeholders with recommendations on how to strengthen the mechanism in the future, and will offer a set of ‘best practice’ guidelines and ideas for mandate-holders of future COIs. Through these steps, the project will make a concrete contribution to strengthening the UN human rights pillar, and to protecting the rights of individual victims.